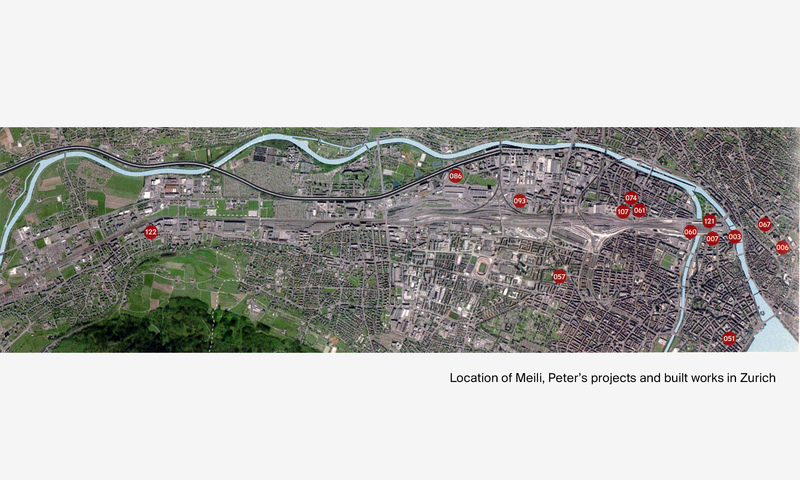 I look at the map of Meili and Peter’s built works and projects in Zurich. A concentration of dots marks out a place. These dots then merge to form a line. What is their logic? Their logic is the train. The agglomeration of dots marks the station; the line is the layout of the tracks. Zurich, today a center of finance, was in its recent past an industrial city, and the railway was the mechanism that structured it in the nineteenth century. In its passage from industrial to post-industrial city, the void left by disappearance represents the opportunity of the new. As Sun Tzu said,1 the contemporary city tends to occupy the void like an army at war. One of the first dots, numbered 007 on my list, the project for Habis Royal, raised a few issues that are pertinent to my story. In section it is complex, dense. The voice of Marcel Meili in his “Letter from Zurich”2 resounds: “The dream of the metropolis is constructed in the subsoil,” and argument that addresses both the invisibility beloved of local culture and a factual reality. 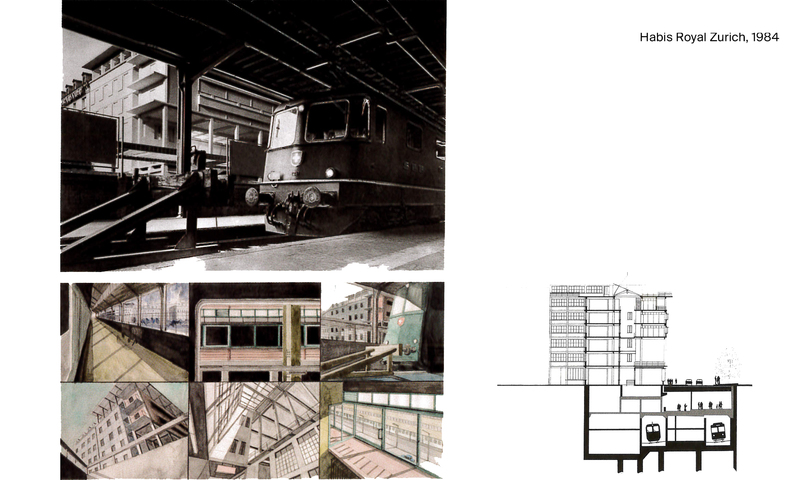 Its distorted expressionistic images speak to us of that Analogue Architektur which, in the late 1970s, represented an interesting local adaptation of Aldo Rossi’s proposals. Pictorial images frozen against classicistic backgrounds in the style of de Chirico become film sets, low-angled against backgrounds of modern industrial desolation. 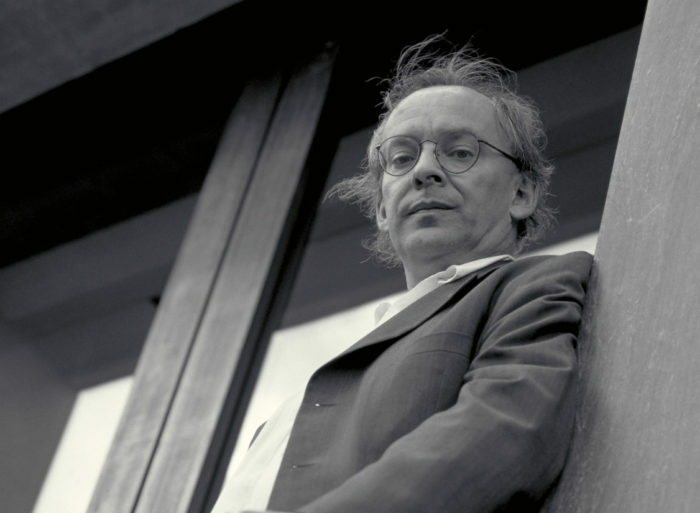 In reality, Analogue Architektur was a forerunner of Dirty Realism, linking Antonioni to Wim Wenders. 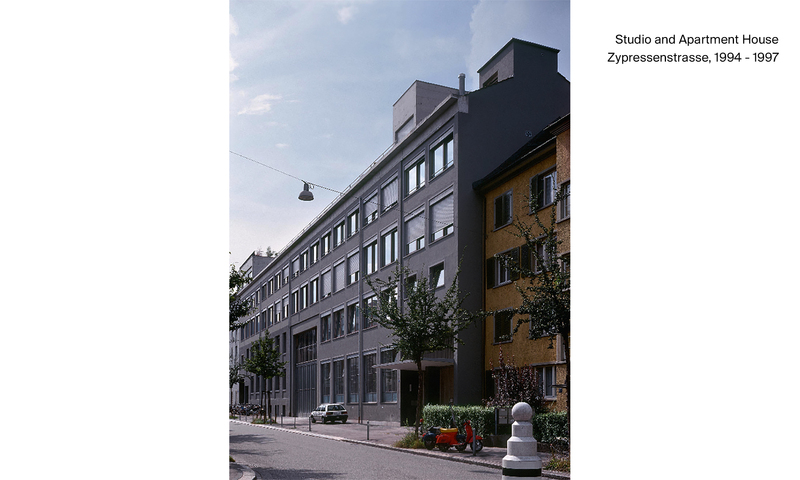 In its origins, Zypressenstrasse shares in this will to address the differential approach that is both near and distant – that is, contemporary. The result is a very interesting space to live in, which occupies the entire depth of the building and is at once continuous and compartmentalized, a far cry from the taxonomic simplism of typologies passed down by the modern Existenzminimun. It also offers the possibility of incipient hybridism, another contemporary facet, with the introduction of non-residential functions (offices, studios, and so on). The critical conservation of the original factory appears, then not as a romantic or historicist alibi but as a strategy of compositional unification in a project that seeks to multiply its parts. But we were speaking of trains. 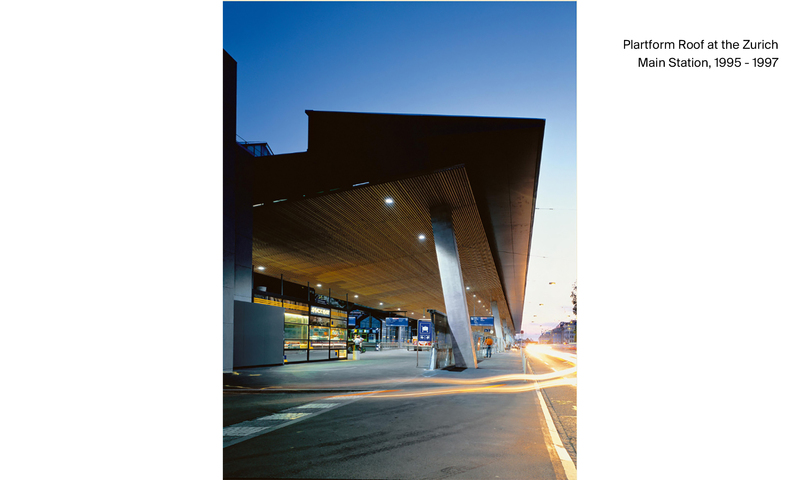 We therefore have to speak of the Haupbahnhof, Zurich’s Main Station. Its authors proclaim that: “It has to be radically opened up to the city.”4 At the risk of underscoring the invisibility of the architect, this is precisely what the project achieves: the presence of trains in the street, where pavement becomes platform and views of the trains combine with the people and cars. The relation with the city is conceived here as one of the openness and transparency. A closer examination will reveal in the wooden ceiling and sloping columns the physical traces of its authors. 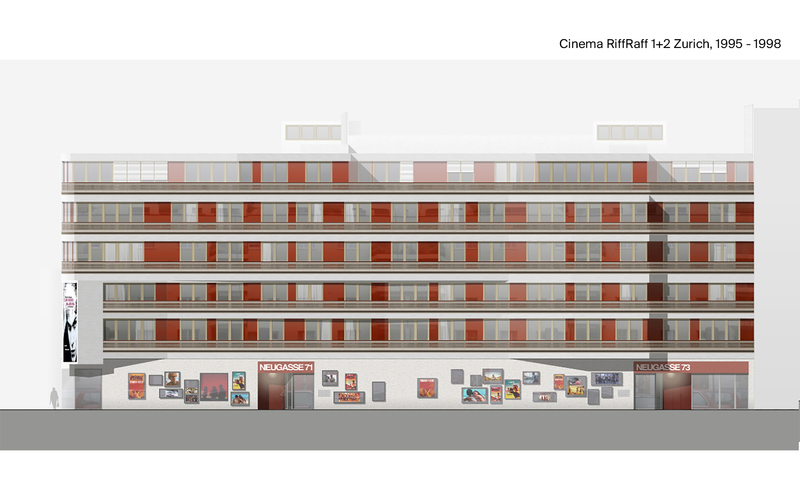 Close by, near Langstrasse, the rundown street associated with the underdevelopment that underlies the railway journey, appears the sequence of buildings of the RiffRaff Cinema. It has a brilliant plot: cinema is essentially related to light and darkness, and the beam of light that conveys the illusory world of film is the protagonist in this space. Remember that intangible, conceptual radicalness is a characteristic of Marcel Meili, Markus Peter Architects; we will go on to look at the layers of material in their built work. The sea of tracks lapping at the Hauptbahnhof, used to irrigate, to serve the annexed industrial areas. Now abandoned, it is set to be transformed for contemporary uses. The urban development plan on the site of the former Maag factory proposes the transformation o the classic modern, reductive sequence of systematic, parallel, pieces of non-repetitive, multiform logic on a layout of variable geometries reminiscent of Scharoun. Further to the left is the site of the project for the new soccer stadium. This is a major project both for the city, which seems incapable of responding creatively to today’s large-scale demands, and for its authors, who offer a convincing synthesis of their capabilities for specific problem-solving. 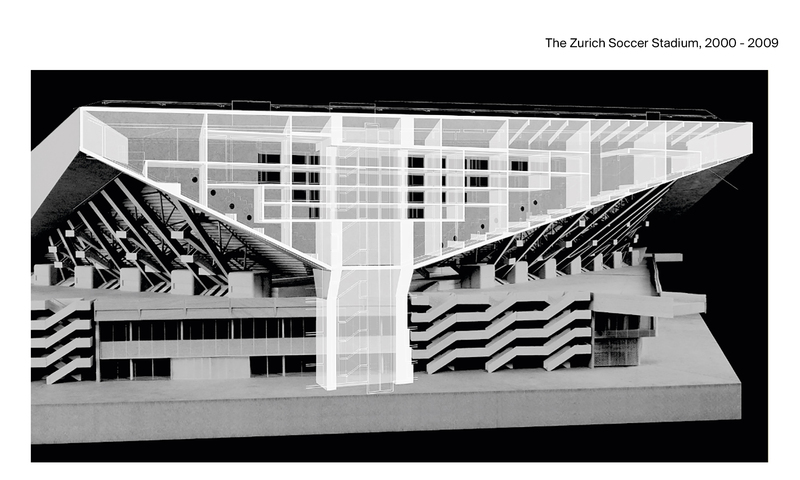 This huge stadium is contextual; it distorts its figure, articulating and defining its exterior. It is a hybrid, housing many uses other than the strictly sports-related, formalizing them in a unitary gestalt. The stadium is forcefully tectonic. It does not give itself up to the vulgar exhibitionism of multicolored lightweight falling prey to exhibitionistic excess. It anticipates the definition of a new type of the collective space, which I hope its construction will materialize. I would like now to look at the form and at the mechanisms that underlie it. I have to speak of construction and structure, as the supports of a specific narrative tone. The construction is designed to be massive, unitary, not divisible into layers. Stone is commonly used as lightweight cladding, but here the challenge is to restore it as load-bearing ashlars. The logic of prefabrication re-emerges as a support for the form. Detail is omnipresent, used not for effect but as the possibility of engagement, of piecing together different parts. The composition of façade walls, a frequent resource, normally defines a basic order to be shaded out, blurred. Detail, ones again, introduces a narrative tone similar to that used by W. G. Sebald in this work: real, meticulous, handcrafted, manual and, at the same time, fluctuating, dreamlike, and sometimes surreal. The supporting framework, not necessarily expressive, appears as the underlying support of the project. Here I am thinking of the park Hyatt Hotel where the project goes no further, but also of more modest works, such as the Rüegg House, which superposes stone and timber without using them as rhetorical exhibition. The last dots on my initial map lead me to a fundamental moment in the city: the lake, the mountains, the forest – within the city and serve, furthermore, unambiguously to qualify its essence. 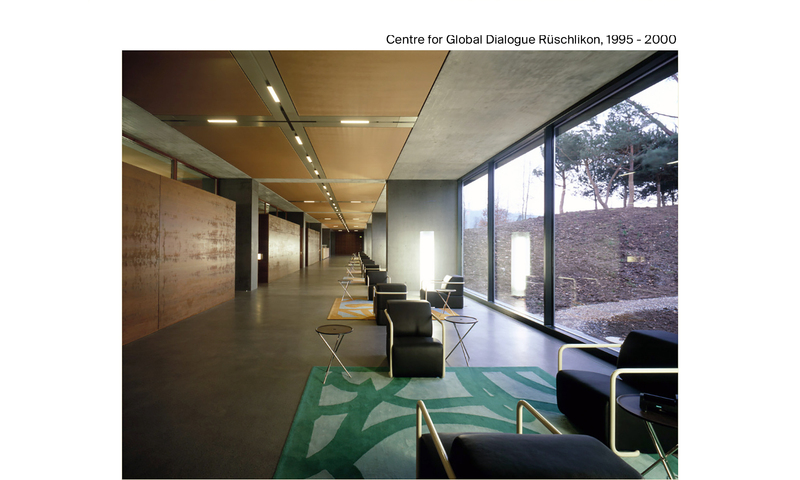 What is exciting in the Centre for Global Dialogue lies in the intelligence of its arrangement on the site and in the definition of the project’s relations with nature and pre-existing construction. The existing villa, a long volume perpendicular to the lake, leaves the responsibility of direct confrontation to the empty space of the garden. Meili, with another lengthwise volume positioned parallel to the first, though slightly displaced. In this way, the garden continues to float freely and the pre-existing building continues to exhibit its isolated symmetry within the park. The two buildings are connected by a sunken path that runs between them, though it aspires to disappear as an object, centering rather on the continuity of the empty space, of the mountain falling away towards the lake. The materials in the path serve to accentuate its invisibility: a strange concrete containing particles of glass seeks to unite the tectonic hardness of the retaining wall with the immateriality and lightness of the glass, whose particles shine in the sun, transforming this cyclopean mass into a delicate screen. The new lengthwise block is broken down at its end, adapting to the topography and giving way to a structural and spatial change in the hotel’s repetitive typology. It is like a floating head, like Icarus taking flight towards the water of the lake. Inside, we find some memorable surprises: lamps that move mysteriously, facings which, like in Mies van der Rohe’s Tugendhat House in Brno, disappear into the ground, at points allowing interior and exterior to merge. It is probably fortunate that we can no longer hope to associate our work with our city, as occurred at some point in the seemingly remote past. As Max Frisch wrote,5 creative activity (comparing it to bridge building), involves consolidating the stability of the banks with the risk of falling into the river. Safety and risk: these are issues in the work of Marcel Meili, Markus Peter (who are also bridge-builders) that may serve to explain their past and, I hope, to advance in the future.